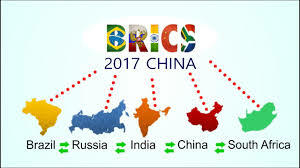 No tangible commitments were made during the most anticipated bilateral meeting between BRICS leaders. In many ways the would-be highlight of this year’s BRICS summit, the inevitable handshake and discussion between Chinese President Xi Jinping and Indian Prime Minister Narendra Modi, was something of a dog that did not bark. While India withdrew its troops from Doklam/Donglang just prior to the beginning of the BRICS summit, in a move widely seen as a way to avoid embarrassment for the Indian delegation upon its visit to China, little apparent progress on settling the underlying border tensions between the Asian powers appears to have been made. While both leaders agreed that closer communications are necessary in order to foster greater cooperation and avoid conflicts, the reality is that India had the opportunity to take China up on its summer-long offers for direct dialogue but this did not happen. Without any further commitments to a dialogue process or any near-future bilateral meetings set-up during the Xi-Modi meeting in Xiamen, it is unlikely that anything more specific other than the polite commitment to dialogue has been offered. “China is willing to work with India on the basis of the Five Principles of Peaceful Coexistence, which were put forward by both countries, to improve political mutual trust, promote mutually beneficial cooperation, and push Sino-Indian ties along a right track, he said. Xi made the remarks when meeting with Indian Prime Minister Narendra Modi in the southeastern city of Xiamen after the ninth BRICS summit”. While President Xi told Premier Modi that peaceful coexistence was a win-win and the “only correct choice” for the countries, the lack of any specific commitments made during the meeting means that as it was during the Doklam/Donglang stand-off, the person in a position to choose remains PM Modi. The only major commitment seemingly made during the meeting was a mutual agreement to uphold the Five Principles of Peaceful Coexistence or Panchsheel Treaty of 1954. The five principles originally agreed between Chinese leader Mao Zedong and Jawaharlal Nehru remain noble goals, albeit goals whose spirit and letter were widely violated during this summer’s Sino-Indian dispute. While Indian media was whipped up into a kind of frenzy when the official 2017 BRICS Summit named several Pakistan based groups as terrorist organisations. The reality is, this small portion of the Declaration merely restated a known position of the United Nations. The fact that President Xi refused to discuss this matter with Modi during direct talks, underscores the fact that China did not see these rather mundane statements in the way the Indian media did. It was certainly not the “diplomatic victory”, that many in India believed it to be. In many ways, the fact that the Xi-Modi meeting was a non-starter is not entirely surprising. Prior to the infamous Trump-Putin meeting at the Hamburg G20 summit, both sides openly expressed their willingness to get down to business with the other. No such enthusiasm exists between Xi and Modi. In spite of this, as countries, China and India have much more to offer one another in terms of economic advantages vis-a-vis Russia and the US and while the disputes between Washington and Moscow will almost certainly not lead to nuclear war, the disputes between India and China came very close to leading to another border war, one which was ultimately prevented by China’s de-facto restraint on the issue. “In respect of bilateral relations, the US and Russia have little to offer each other economically. Russian goods are not sought after in the US market and apart from small internationally consumed retail goods, American ultra-hi-technology and military hardware is totally unnecessary in Russia as Russia makes rival products which are as good, in some cases better and in all cases, are produced far more cost effectively than those produced in the US. As two energy exporters, Russia and the US are in some ways competitors even though the markets for US and Russian energy are generally different for both geographical and economic reasons. In this sense, US and Russian cooperation is primarily an issue of security. No one wants US and Russian nuclear weapons to be fired a war, even though the actual likelihood of this is even more exaggerated today than it was during the Cold War. The situation between China and India could not be more different. China and India are neighbours who ought to cooperate on trade in a manner that takes advantage of each country’s unique strengths. The example of Pakistan-Chinese cooperation and its early success which appears to only be growing, makes it clear that China and large South Asian countries have a great deal to offer one another. Both India and Pakistan were to form an integral part of China’s One Belt–One Road trading initiative, but India’s reluctance to cooperate with China has led many in China to lean more heavily towards Pakistan. India’s intransigence on the matter is increasingly making the Sino-Pakistan border an effective Indian bypass on the New Silk Road. While China can complete One Belt–One Road without India or even in spite of India, both sides would be better off cooperating, but especially India. India simply does not have the technological or manufacturing capacity of China, but India’s growing markets and young workforce could work in tandem with China to create more economic opportunities for Indians across all levels of society and for Indian infrastructure which could benefit greatly from Chinese investment, just as Pakistan’s infrastructure has been the recipient of such boosts from Beijing. In order to create an opportunity for India and China to begin meaningful economic/trade cooperation, it is necessary to settle the border disputes between the two countries which are a lingering effect of British imperialism in South Asia. The appropriate forum to settle border disputes is the Shanghai Cooperation Organisation. Here, both China and Pakistan could work with fellow member state India to resolve lingering border crises and Russia which maintains good relations with Beijing, Islamabad and New Delhi would almost certainly be happy to mediate such a dispute in a dignified manner. In this sense the SCO is a better forum to settle such a dispute than the UN as while China has a veto on the UN Security Council, in the SCO, all members are technically co-equals. China’s position on all these matters is clear and China is open for dialogue and discussion with India in order to work towards a fair and expedient resolution. China wants India to be a good neighbour and a future partner. It is India, especially under the Premiership of Modi whose attitude to China has frankly been downright stubborn to the point of inflicting harm on one’s own nation. India appears to want to engage in economic warfare with China even though this is a battle that India will objectively lose. This is something that many Indians who are opposed to Modi admit with grace, just as Russia could not and does not try to compete with China in the realm of electronic and personal computer exports. Russia, in engaging with China as a trusted partner, has not only enhanced the economies of both countries, but Russia is one of the few nations to run a trade surplus with China, albeit a comparatively small one. India could in fact decrease dependency on foreign good by cooperating with China rather than trying to outpace China in areas where China is objectively superior in terms of production quality, consistency and efficiency. In this sense, India and China can offer one another meaningful economic opportunities, where it is increasingly the case that the US and Russia can offer one another little other than the obtuse assurance that there will be no nuclear war. While the American deep state is dead set against any rapprochement with Russia, in India there are voices who oppose Modi’s antagonistic stance towards China, however much the vocal pro-government Hindutva press tries to silence such voices. Good relations between China and India are therefore more necessary and more realistic than good relations between between the US and Russia. The difference is that in India, the matter rests almost entirely on the Prime Minister and his most trusted advisers, whereas in the United States the President who wants better relations with Russia has been left largely powerless to change the course of US policy. Modi is in many ways in the same position as Turkey’s President Erdogan has been in over the last few years. In 2015, after Turkey shot down a Russian military jet on the Syria-Turkey border, a situation developed which could have led to war. However, both countries have not only patched up their differences, something which began when Erdgoan apologised to Putin for shooting down the Russian jet, both Turkey and Russia are increasingly partners whose relationship is becoming something of a necessity for Ankara. If Erdogan and Putin could rapidly patch up their differences, so too can Modi and Xi. Erdgoan took the first step towards mending fences with Russia after the Russian side showed a great deal of restraint amid calls for war with Turkey. China has likewise showed a similar level of restraint during this summer’s Doklam/Donglang border crisis with India. Modi can therefore climb down from his untenable position as Erdogan did, or he can learn the hard way, the lesson that Turkey has learned, namely, that Asian and Eurasian nations who align with the US, ultimately gain less than nothing in return”. Because of the pressing necessity of China and India resolving lingering areas of disagreement, particularly on border issues, it is crucial for the matter to be addressed by the Shanghai Cooperation Organisation (SCO). As a body which deals primarily with security and geo-political relations, the SCO is in any case, a more suitable forum for such dialogue than the BRICS ever was as BRICS summits are primarily concerned with economic, monetary and commercial issues. China has repeatedly stressed it is not only ready but is eager for discussions with India. It is now up to India to at least show a fraction of this readiness in order to help stabilise a situation which in the long term could damage India far more than China. Narendra Modi is currently in Myanmar where his statements on the developing situation with the Rohingya people may well be more illustrative of his real views on China’s position than his tepid remarks at the BRICS summit.